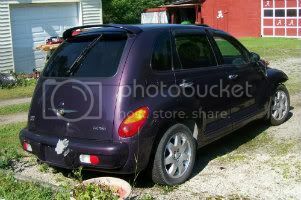 i have a 07 N/A auto pt cruiser and would like to do an engine swag with the gt pt engine and change it to a stick transmission. i already have friends who is willing to do it. the thing is what all has to be done in order to make everything work properly? First buy a complete turbo PT for a donor. You will likely need the entire drive train and the exhaust and wiring harness and ECM and TCM and almost everything electronic from the donor car to make it work. 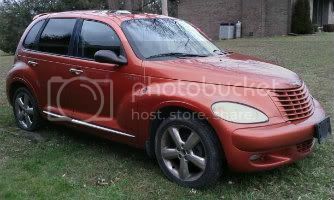 You will need the bumper cover, front cooler and several other things as well. Someone that's more familiar with the turbo can probably give you a complete list. It would likely be easier to take everything good off your car and put it on the donor turbo car and drive it. 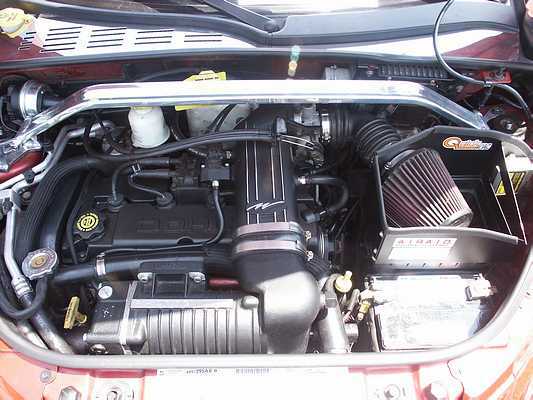 But if you are just dreaming, a better and more realistic dream is to find a Whipple supercharger made for the NA PT engine. Supposedly, that's just a bolt on deal and you are done. Last edited by Handy_Cruiser; 09 Jan 2014 at 07:08 pm. And you will need it to be a second gen. Pt like yours. Its the electricals that are the issue. 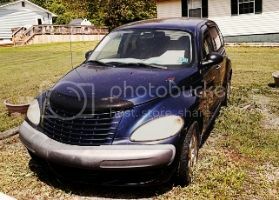 want sell ur whipple sc? Loser, Handy doesn't HAVE a Whipple, he's just suggesting that Murdock try and find one to put on his car instead of the complete Turbo swap.